This info is not yet complete. 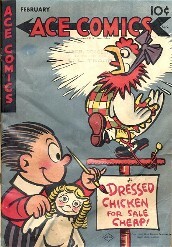 Ace Comics is published by King Features around 1941. 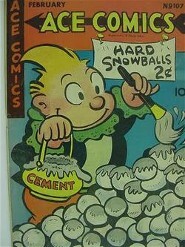 Prince Valiant is published in at least numbers: 54, 80, 98, 107, 113,114, 115, 116, 119, 123 & 127 Other sources say in all numbers between 26-134. Can anyone help me with more info? 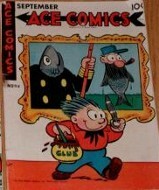 Ace comics also contains stories of The Phantom, Jungle Jim and others.